I’ve just taken the (as yet) current calendar down and put up the 2019 calendar. There’s no doubt some old wives’ tale that says I’m letting myself in for a whole year of bad luck by doing that, I call it tidying up. 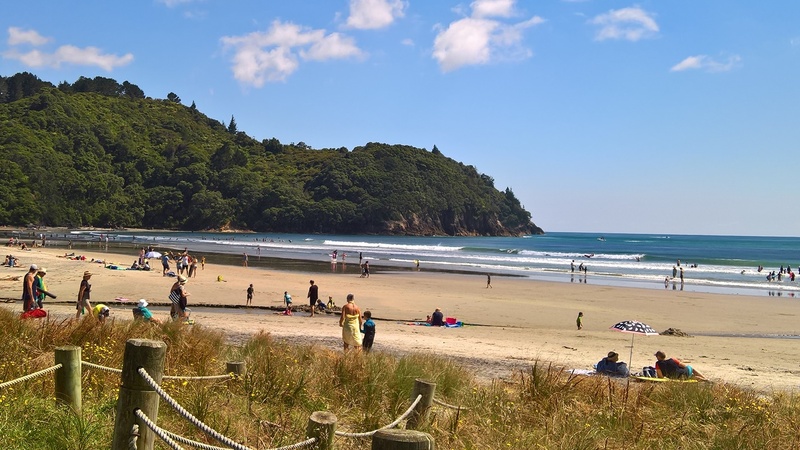 New Zealand calendars feature beaches and summer activities from December through to March or April with snowy mountain scenes from the South Island in June, July and August representing our Southern Hemisphere seasons. It’s interesting celebrating Christmas in the summer, seeing Santa sweating in the mall in his red robes while the rest of us stroll around in shorts and t-shirts, families enjoying Christmas Day together on the beach, and listening to Christmas songs that really don’t have a lot to do with the time of year here, but I find that a part of the charm and I’ve certainly embraced the Kiwi Christmas. We’ve just come back from meeting friends in a café near the beach. Everywhere is packed with people on holiday as it’s the long school summer break and everyone is in festive holiday mode. 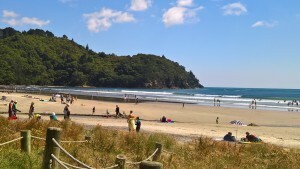 This opposite view of Christmas and the seasonal year was one of the things that enticed me to write my latest novel, A Kiwi Christmas Romance, showing the different traditions enjoyed in New Zealand and the way Christmas is celebrated here because it is summer. The character of Moontide, her daughter Nellis, and their names and story was the other prompt to get writing. Previously, I had spent close to eighteen months and three re-writes of my latest crime novel before finally being able to put that to bed. 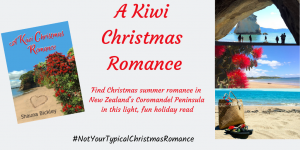 In the few months since sending it off I’ve enjoyed writing the Kiwi-themed Christmas romance followed by a number of (long) short stories to add to an anthology which will be published in February. However you celebrate Christmas and the New Year, I hope you have a good one.